Personal relationships often fail due to misunderstandings, ego and karma. However, there is another way to experience relationships, so that you are stronger together than apart. This happens when your relationship takes on a bigger meaning, and it’s called a Divine Relationship. This Friday’s Full Moon in the Uttara Phalguni star marks the Marriage day for Five Divine couples and this reveals a deep insight into the role of relationships in human life. The relationship model was given to us by the divine and when you tune into this model you empower and can even fix your relationships. Take advantage of this special Moon and participate in the divine marriage rituals that are being performed. You will see relationship miracles taking place when you are conscious about this time window. This year the Divine Marriage Day (Panguni Uthiram) falls on Friday, April 3rd, 2015 (IST). The Moon will align with the Uttara Phalguni star in Virgo. Sun is the Lord of Uttara Phalguni and Venus rules the Day. Uttara Phalguni symbolizes oneness. The relationship planets, Venus and Mars, are together in the sign Aries. This association is more important this year because it is free of afflictions from any natural malefic planets. Performing rituals for Mars and Venus will also help. This is an opportunity to mend broken relationships and prevent confusion and ego clashes. The energy of this day supports love and attraction that makes romantic relationships last. Worshiping divine partners on this day will reduce or eliminate conflict in your relationship. This Friday, April 3rd, 2015 (IST), an extremely benevolent form of Lord Vishnu becomes accessible during the Full Moon. This allows us to perform one of the most powerful poojas for wealth, the Satyanarayana Wealth Pooja. The pooja starts by clearing all obstacles from your life with a prayer to Lord Ganesha, followed by a Pooja for the 9 planets to gain their support. After which Lord Satyanarayana is invoked by chanting secret mantras and performing rituals precisely as per Vedic scripture. The Pooja will replenish your wealth, health, peace of mind and undo reversal of fortunes. In addition, this Full Moon remedy is renowned for its ability to provide protection for your entire family and preserve and enhance family harmony. The Archetypal energy invoked through this powerful ritual will help in clearing the Karma that is blocking wealth. The time span for the total Lunar Eclipse on April 4th, 2015 will be less than 5 minutes, making it the shortest total lunar eclipse of the 21st century. The total lunar eclipse will be visible from western America, eastern Asia, Australia and the Pacific, however in India; it will be a partial eclipse. The lunar eclipse is a time to go inward and is generally not a good period for making major decisions, as the mind principle becomes contaminated during an eclipse. For this reason, it is best to keep to yourself and to reject offers that arrive during this time period. In Vedic Astrology, a lunar eclipse occurs when the Moon is swallowed by the snake planet Rahu or Ketu. This coming lunar eclipse is due to Rahu engulfing the Moon in Virgo in the Hasta star, but all the stars in Virgo and their related stars will be impacted during this extra brief Lunar eclipse. Additionally, both luminaries will be affected during the eclipse. Since your ancestors reside in either the Solar Loka or Lunar Loka, the day after an eclipse is a great time for you to perform tarpanam for them. Rituals for the Sun, Moon and the Ancestors will help you overcome many challenges in life. You can minimize afflictions in your birth chart due to past life karma with remedial measures such as mantras, poojas and gems. However with Saturn, remedies become much more effective when you: have compassion, help others in need & have a pure heart. In the Roman times Venus (means “charm” in Latin) was the goddess who presided over persuasiveness and seduction in both the divine and mortal worlds. In ancient Mesopotamia, Venus was known as both God and Goddess of war and love. In Vedic Astrology, Venus is Male but often Venus is referred to as being female. Venus is deeply connected to all Goddesses and supports and nurtures Divine Feminine energy. Without the Goddess there is no material prosperity, wealth or beauty. 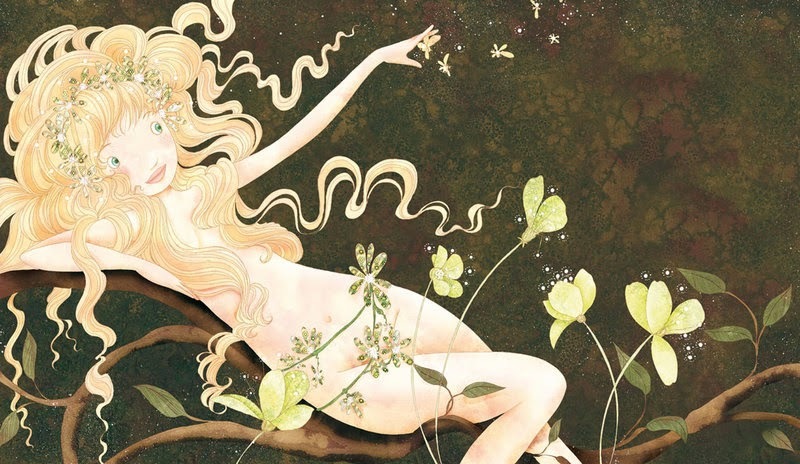 Venus can bless you with wealth because of His connection to the Goddesses.